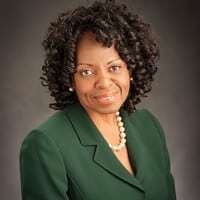 Dr. Denise B. Maybank is currently the Vice President for Student Affairs and Services at Michigan State University, and an Ideas for Action senior partner. She is a passionate advocate for students, focused on promoting learning outcomes while sustaining engaged student experiences. Dr. Maybank’s career achievements span the areas of administration, consultation, counseling, and education, including teaching graduate courses internationally. A native of New York City, Dr. Maybank has a doctoral degree in counseling and school psychology from Michigan State University, a master’s degree in educational administration from Teachers College, Columbia University, and a bachelor’s degree in elementary education from Brooklyn College of the City University of New York. Dr. Maybank has held a variety of positions on boards of directors, councils, coalitions, and committees through which she has had the opportunity to serve others. She currently serves as commissioner of the Greater Lansing Area Dr. Martin Luther King Jr. Holiday Commission. She has served as co-chair of the Association of Public and Land-Grant Universities’ Council on Student Affairs Executive Committee and as a member of the Lansing Community Board of Ele’s Place, a nonprofit, community-based organization dedicated to creating awareness of and support for grieving children, teens, and their families.